We don't talk about the blackberry as often as other fruits in the bar because only a handful of cocktails feature this dark berry. You're in for a real treat when you get a taste of a blackberry cocktail. Not to be confused with black raspberry, the blackberry is more tart than the sweeter raspberry. These recipes use crème de mûre (or another blackberry liqueur), a blackberry brandy or the fresh berries. They're fun to explore and a unique taste you'll want to try. Fresh blackberries and a great Irish whiskey, the blackberry malt is a delightful and refreshing cocktail. It's certainly something different and that's why we love it. Not many cocktail recipes encourage you to mix with a single malt whiskey, but this one does. The Irishman Single Malt is a very fine sipping whiskey and it is even more impressive in this simple drink of blackberries, syrup, lime and sparkling water. Put a fresh, modern spin on the classic sidecar cocktail and mix up the impressive blackberry sidecar. This recipe features Brockmans Gin, one of the best spirits of its kind to pair with any type of berry. 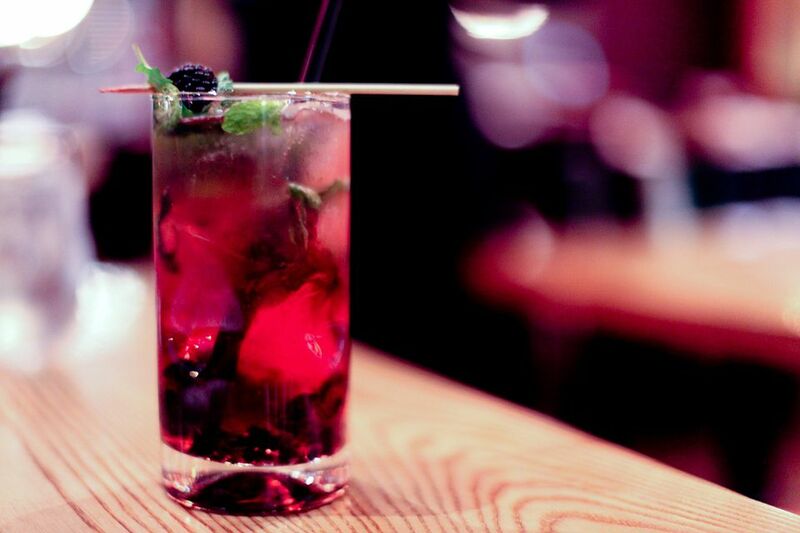 The cocktail is both simple and delightful, the perfect showcase for fresh blackberries. You'll muddle those with lemon juice and triple sec, add the gin, then finish it off with plum bitters. It's a flavor that wakes up the senses and the perfect complement to blackberry season. The blood martini is a taste sensation in a glass and you're going to fall in love with its wonderful array of flavors. It's a fruity vodka martini, sure, but it has a whole lot more dimension than others of this style. 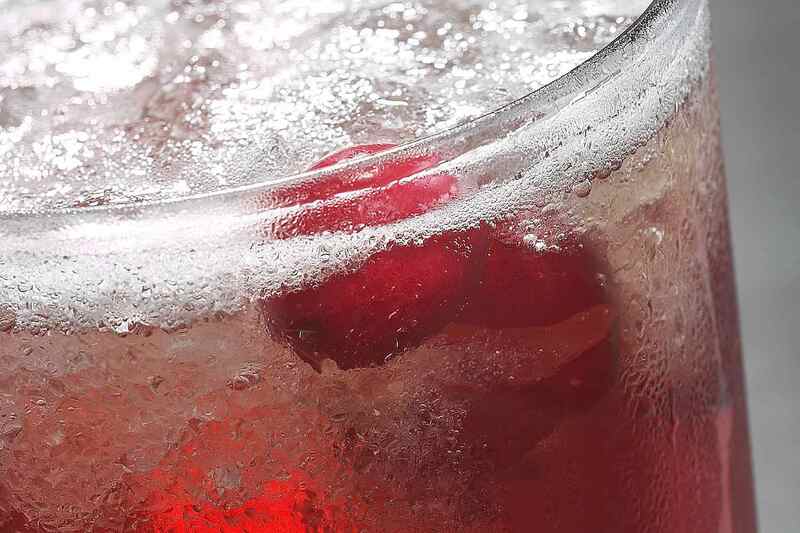 This recipe begins with Ketel One Citroen Vodka, which is flavored with ginger, grape and blackberry. It has a darker profile than most fruit martinis and it's sure to grab anyone's attention. It works particularly well for classing up your Halloween party. One of the best-known of all blackberry cocktails, the Bramble cocktail is considered by many to be a modern classic. A British creation from the 80's, it quickly received notoriety and one taste will show you why. This is a simple, tall and refreshing gin sour that pairs lime juice and simple syrup with your favorite gin. The blackberry comes into play via crème de mûre, a sweet-tart and often overlooked liqueur in which the berry shines. You will need just two blackberries for this modern twist on the old-fashioned. It is an ideal cocktail for the peak of summer when fresh fruits are at their best. Mixing up this cocktail is just as easy as its predecessor. It pairs the summer's best peaches with the always impressive Woodford Reserve Bourbon and a little sweetener, then a pair of berries. The new old-fashioned is delightful in its simplicity and the perfect way to enjoy a day in the sun. When you're ready to get your tiki game on, the rum runner is the blackberry cocktail for you. As you might expect, it's filled with rum—two styles, to be exact—and it has long been a favorite.